From the dramatic find in the caves of Qumran, the world’s most ancient version of the Bible allows us to read the scriptures as they were in the time of Jesus. 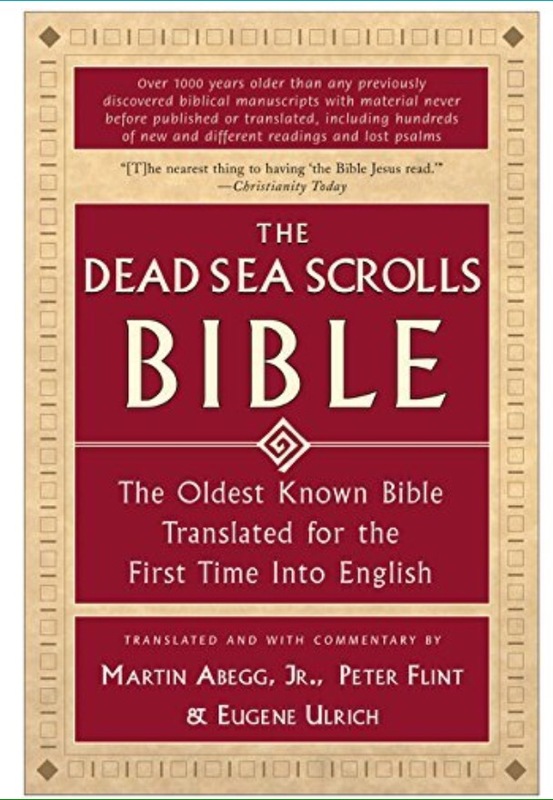 The Dead Sea Scrolls Bible: The Oldest Known Bible Translated for the First Time into English is the first full English translation of the Hebrew scriptures used by the Essene sect at Qumran. (The Essenes, along with the Pharisees and Saducees, were among the three most influential Jewish groups of their time [150 B.C. to 68 A.D.]). Between 1947 and 1956, in 11 caves overlooking the Dead Sea, more than 800 manuscripts of two types were found. The first are called “biblical”–because they contain material that was later canonized in the Hebrew Bible; the second are called “non-Biblical”–because they contain poetry, rules for holy living, and imaginative, midrashic interpretations that are unique to the community that produced them. An intriguing read, to say the least. Mostly biblical and upholding the contents of the bible as we know it, some things contrary to the writings we have learned from books not canonized into the bible as we know it, and others not seen before, which need to be studied. Some of what I read upheld much of the existing scripture and some other things were but commentary on what was written. Majority of what was captured was fragmentary at best. Oh, but what a discovery it was! Unless you are a great student of the bible and archaeological finds…this may, or may not, be a good book for you. You need to be a die-hard student. The writing is quite fragmentary and requires much in the way of assumptions. I found this book rather fascinating, in that, it took snapshots of the life of Jesus, up to His Sermon on the Mount, and explained in a generalized manner. I found it to be very good and informative. I thought it worth the time to read and the time to ponder over. I found this book to be quite interesting, as well as revealing. I have been listening to Dr. J. Vernon McGee’s commentary on this book for roughly a week or two, which is pretty much all that is written in this book. Each and every time that I listen to it I tend to pick up something that I passed over during the previous times. I never placed much stock in this book and therefore never paid much attention to it. about two months ago, while in prayer I sought guidance and this was what had been dropped into my lap, so-to-say! There are an abundant of lessons to be gleaned from this little four chapter book, lessons we can all use within our lives, both to live our lives for God’s glory and to spread His word to all those who are lost. Thomas D. D’Andrea, “The Natural Law Theory of Thomas Aquinas,” Natural Law, Natural Rights, and American Constitutionalism — a project of the Witherspoon Institute. Thomas D. D’Andrea considers Aquinas’ theory of natural law at the Witherspoon Institute’s Natural Law, Natural Rights, and American Constitutionalism site. The Pensées is simply the compelling “Thoughts” of mathematician, physicist, and religious thinker Blaise Pascal. Originally intending to publish a book defending Christianity, Pascal died before he could complete it. The thoughts and ideas for his book were collected and complied, posthumously, and then published as the Pensées. Pascal’s thoughts are as powerful as they are comprehensive. He discusses with great wonder and beauty the human condition, the incarnation, God, the meaning of life, revelation, and the paradoxes of Christianity. He passionately argues for the Christian faith, using both argumentation and his famous “Wager.” His ideas and arguments are sometimes developed and intricate, at other times, abrupt and mysterious. Consequently, the Pensées is a startling and powerful book–with each successive read, one discovers new profound insights. Anyone curious about the Christian faith, or simply looking for an impassioned defense of it, should look no further than Pascal’s Pensées. Many pragmatic and simplistic thoughts placed into one book. This book was posthumously published. He was a brilliant man who, in my opinion, tried to keep all thoughts simple for all to understand. It is a worthy read from the mind of a man from the 17th century who was pragmatic in thought. 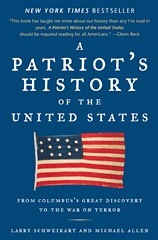 I have found this to be one of the greatest & most comprehensive books on the history of these United States! Well worth the read for all!